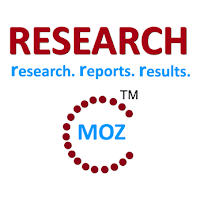 ALBANY, NY, July 2015 -- ResearchMoz.us includes new market research report " Maintenance and Aftermarket Preferences in Mining for Northern America, 2015: Industry Size, Shares, Growth, Analysis, Trends And Forecast" to its huge collection of research reports. This report provides a detailed analysis of customer preferences throughout the Northern American mining sector, focusing on the factors that influence preferences for maintenance and aftermarket services across Canada and the US. The analysis is based on Timetric’s extensive survey of 100 mine managers and procurement managers. Customer preferences for maintenance and aftermarket support structure. These include opting for either original equipment manufacturers (OEMs) or independent third parties as providers of three equipment parts categories: strategic parts, non-strategic parts and processing-related equipment. After sales equipment support preferences across three options; 'work with me', 'do it for me'; and 'do it myself'. Preferences for type of service contract, including maintenance only, operation and maintenance, and life cycle management. In each case responses are analysed by mine type, company size, commodity and country. The survey is based on responses from over 100 senior managers and decision makers at North American mines and provides detailed analysis of maintenance and aftermarket preferences. Survey respondents came from either Canada or the United States. This included 4 different commodity groups and a range of surface and underground mining operations. Understand mining companies’ use of original equipment manufacturers (OEMs) or third parties for equipment parts and for processing equipment needs. Also how these preferences vary by commodity, company size and region. Gain knowledge of mining company preferences for after-sales support structure, and identify the services required based on mine type, company size and commodity. Understand the importance mining companies place on service and maintenance costs and capabilities. Then compare the results with the actual rated performance of these equipment manufacturers. Identify the service contract preferences of mines in North America, and compare across mine type, region and company size. OEMs dominate the market for strategic parts, with 55% of respondents reporting that they only use OEMs for such parts, while 43% use a mix of both OEM and third-party providers. The small remainder uses only third-party-providers. North America is the one global mining region where third parties have an advantage. Some 41% of underground respondents involve third-party providers for strategic parts, versus 31% for surface respondents. 66% of respondents prefer a ‘work with me’ structure, with regular interaction with equipment suppliers to provide them with support services. This is in comparison to those who prefer to completely outsource support (12%) and those preferring to conduct all work in-house (22%). ‘Maintenance only’ is the preferred service contract in North America, with almost half (44%) of respondents outlining their preference for this structure.